Muncaster Castle is a privately owned castle overlooking the Esk river, about a mile east of the west-coastal town of Ravenglass in Cumbria. It is recorded in the National Heritage List for England as a designated Grade I listed building. 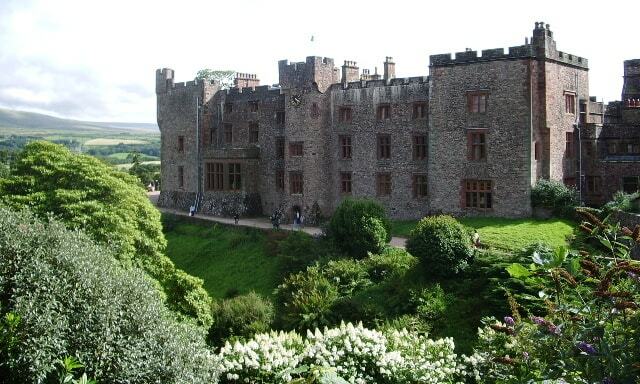 After the battle of Towton in 1461, according to tradition, Henry VI fled to Muncaster Castle where Sir John Pennington sheltered him. Henry gave Sir John a glass drinking bowl, in the hope that they should prosper so long as it remained unbroken. The glass, which is still intact, and still at the castle, is now known as 'The Luck of Muncaster.